Sat 2 March* Joint meeting with the Friends of Alfred Williams. 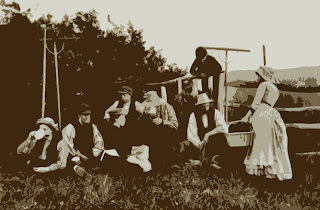 This year it is the Society’s turn to host the gathering. Select a short extract to read to others by or about Richard Jefferies or Alfred Williams or just come along to listen. Sat 11 May* Ray (Badger) Walker will talk about his personal friendship with “BB”. Sat 27 July A Study Day. Jefferies’ Museum: 10.30am-4.30pm. Theme: Food and drink in Jefferies’ world. 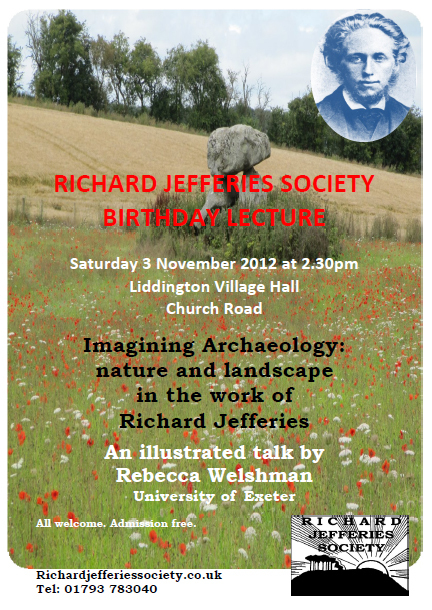 * Meetings begin at 2.00pm in the Jefferies Museum, Marlborough Road, Coate, Swindon, SN3 6AA. Doors open at 1.00pm – an opportunity to look around the Museum. Park free at Coate Water, only 5 minutes walk away. Those with a disability can park at the Museum; space is limited – when the ground is firm there is plenty of room. Parking is also available in Dayhouse Lane and at the Sun Inn. Meetings are open to the public and free to attend. From Swindon town centre (Fleming Way), there are several bus services that stop next to Coate Water roundabout. These include: Monday to Saturday - daytime: Numbers 13, 14, and 20. The Museum is also open to the general public on the second Wednesday of the month from 10am to 4pm. From May to end of September, it is also open Sundays 2-5pm. Professor Eric Jones will talk about the American pioneering naturalist Robert Kennicott (1835-1866). Lecture entitled: ‘Saving Kennicott’s Grove: successful conservation at an American Coate’. Admission free. Park at Coate Water Country Park. The Secretary of State has given Redrow Homes and Persimmon Homes planning permission to build nearly 900 houses, offices, industrial units, shops and a school on the countryside at Coate beloved by Richard Jefferies.